I'm no longer offering my casted parts here. 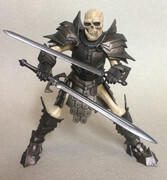 All my stuff will be sold through http://www.myactionfigurecustoms.com from now on until further notice. The price of materials went up suddenly at the beginning of the year and in turn I have had to raise my prices. The resins I use went up and some of the paints have become increasingly difficult to get now costing more for the bottles that are still out there. Since the prices were going to have to increase anyway, I made the move to my actionfigurecustoms to help with the rising cost as well as distribution and shipping. I will still post pictures in the forums to share when I've finished something to share along with updates. Thank you to each of you that have picked up some of my stuff. It's not over, I'm just transitioning into a new phase of production. I cam still offer my painting services to anyone interested. The best way to get in touch with me is through email at zombie13.customs@yahoo.com, I'm also on Instagram at zombie13.customs where I try to post something each day (new or not). I can still be reached through PMs here or offsite through my email. Custom Casted Parts for Sale with Price Guide. 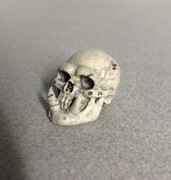 Pictures of examples for Custom Casted parts. *prices do not include shipping. Shipping is $5.00 in the US for First Class - More for Priority - International is more depending on location. *All orders now ship in a sturdy, 7x4x2 box. *I can not sell Necks only - these will be sold as a need with the appropriate head if requested. 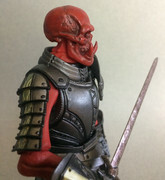 *Heads and Necks for Sale only, Figure bodies and Weapons are not included. 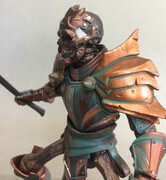 *Each cast is paint to order, I don't start painting until you place your order (unless otherwise stated as already painted). *Please be prompt. It's just good manners. Don't leave me hanging on hold for days or weeks at a time. If I don't hear back from you within a week, I will relist the items you were interested in. Nothing personal. *I accept PayPal. I will send an Invoice through PayPal once we are in agreement and you give me your PayPal info. 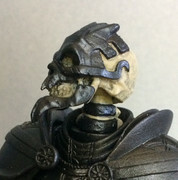 These heads work as a replacement OR a fun alternate for your existing figures. Click the thumbnails for bigger clearer pictures. Last edited by zombie13 on Tue Mar 19, 2019 8:46 pm, edited 20 times in total. Please see example pictures in the next post. 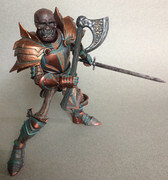 I can custom paint match any current Mythic Legions figure, just ask. SOLD OUT - made upon request - 2 week wait period"
Last edited by zombie13 on Mon Dec 10, 2018 10:39 pm, edited 44 times in total. Last edited by zombie13 on Thu Oct 11, 2018 7:07 am, edited 11 times in total. Smoke Free, heavy odor free home. Prices are negotiable. Feel free to make an offer. Nothing anyone would be interested in at this time. It's all older junk anyway. 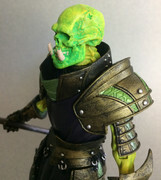 I do offer my custom talent or my casted pieces for trade however. I will trade my custom casted parts OR other custom services for my wants under the right conditions. It has to be fair for both parties. Last edited by zombie13 on Tue Mar 19, 2019 8:40 pm, edited 14 times in total. Last edited by zombie13 on Tue Feb 13, 2018 11:40 pm, edited 1 time in total. I'm really excited to see the new head's that you're working on. 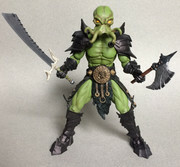 Orc and Webbed Feet added - LIMITED STOCK! More to be added at a later date. 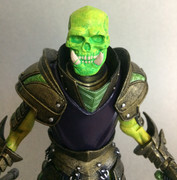 Re: Custom Head Casts For Sale - JACK IS BACK! Jack and Skullkin are back from retirement, but for a limited time only! Just sent you an email! I want a Jack, please! 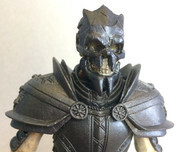 Re: Custom Head Casts For Sale - Feet back in stock! 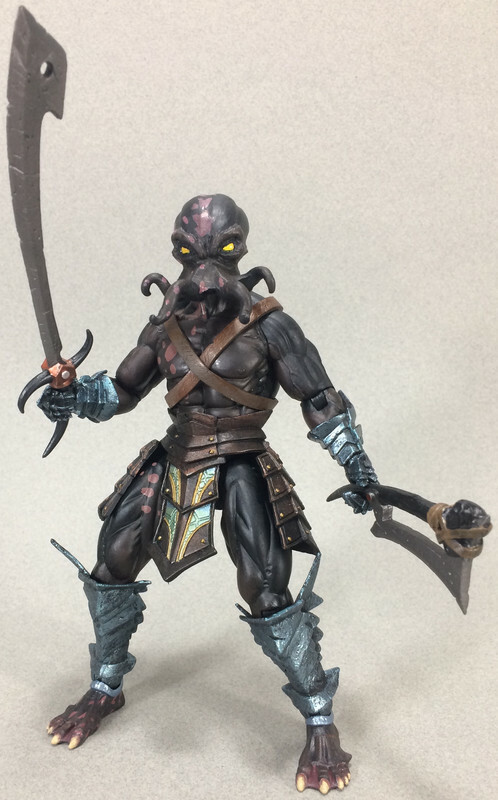 Orc and Webbed feet are back in stock. Restock on Cephalopod heads. I have a special set for sale right now. 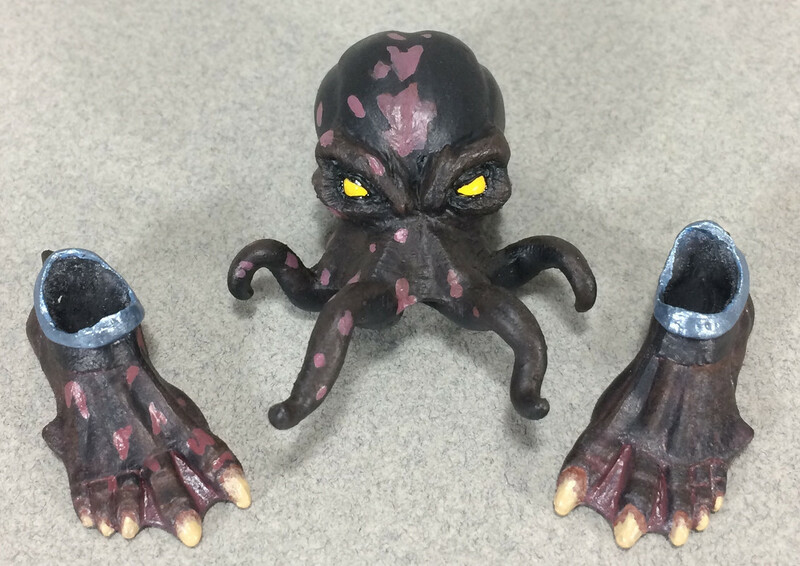 It's a Cephalopod head and webbed feet set paint matched to Gorthokk. These are pre-painted and ready to ship. Only one set like this available, so first person interested buying gets it. Of course, I can paint more like this if there are others interested. But this set is finished and ready to go. I'm removing all the current stock from here to be sold off site for now. I will still take orders for special exceptions handled as a case by case transaction depending on the situation. I'm busy working on new things to offer here at the moment. Shipping is tricky during the Holiday season anyway and things get delayed more often then not during this time of year. Seeing as how orders here have slacked off here, I need to move the current stock I've been sitting on for a while in order to drum up some cash. I'll be back soon with some new exciting stuff as well as some of my older offerings just in case someone still wants that stuff too. I wish each and every one of you a Happy Holiday season no matter what traditions and beliefs you and your families celebrate. Take care everyone and see you back here for the New Year. I'm no longer offering my casted parts here. 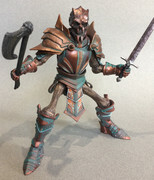 All my stuff will be sold through www.myactionfigurecustoms.com from now on until further notice. The price of materials went up suddenly at the beginning of the year and in turn I have had to raise my prices. 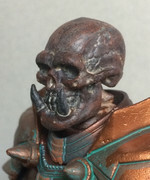 The resins I use went up and some of the paints have become increasingly difficult to get now costing more for the bottles that are still out there. Since the prices were going to have to increase anyway, I made the move to my actionfigurecustoms to help with the rising cost as well as distribution and shipping. I will still post pictures in the forums to share when I've finished something to share along with updates. Thank you to each of you that have picked up some of my stuff. It's not over, I'm just transitioning into a new phase of production. I cam still offer my painting services to anyone interested. The best way to get in touch with me is through email at zombie13.customs@yahoo.com, I'm also on Instagram at zombie13.customs where I try to post something each day (new or not).